CRIME, GUNS, AND VIDEOTAPE: Camera Armed Quadcopters, Public Safety and Privacy Examination. 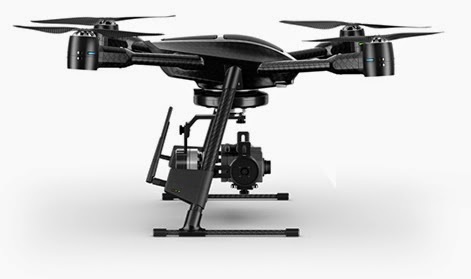 Camera Armed Quadcopters, Public Safety and Privacy Examination. Los Angeles, CA—When the topics of Unmanned Aerial Vehicles or drones are brought up so are the issues of fear, loathing and regulation. Ignorance of the unknown is always a source of difficulty. However take a look at the issues with an open mind. Aerial photography is not new, but until now it was just expensive. We’ve co-existed with fixed wing airplanes and helicopters, all of our lives. It’s settled law that we have no reasonable expiation of privacy outside of our homes and the other shelters we inhabit. For nearly two decades we’ve been under observation from high-resolution cameras mounted on satellites. We’ve all seen those incredible Google Earth views. All of those privacy issues have been addressed and settled in the courts redundantly. Suddenly we have great diminutive cameras and UAV’s to take them to the skies. The privacy laws remain exactly the same. There are huge advantages for these new UAV’s such as search and rescue, looking for lost pets, newsgathering video and filmmaking. Safety inspection of roofs, transformers, power lines and elevated structures can be accomplished now with ease and without risk of injury. Additionally UAV’s have proven to help both sales people and buyers of real estate see a better view of those properties. Aside from all of this, there is a long established hobby involved with remote controlled aircraft. Millions of teens and adults have been enjoying this great hobby. We’ve all seen videos and pictures of catastrophic helicopter crashes in our cities. Death, destruction and horrible injuries occur when these things happen. Those terrible accidents are somewhat rare but by no means isolated. I lost two friends over the years in news helicopter crashes. Now we have the small, light UAV’s and they're a game changer for the better. Mishaps are not uncommon with the new UAV’s mostly due to pilot error. The difference here is the UAV’s almost always escape damage! Injuries are beyond rare and very minor if they happen at all. UAV damage is proving to be somewhat less than that what would be caused by a thrown common tennis ball. We all know about the large, heavy military UAV drones usually armed with weapons that governments use. They cost as much or more than conventional aircraft and are simply not part of this discussion. The proliferation of these new small UAV drones like the one involved in the photo above and the video below will save millions of dollars for news organizations, businesses and government agencies as they reduce tragic accidents. The video below shows what happens when a pilot loses control of a UAV in a populated area. This should not have happened and it resulted from simple inexperience. However you will see first hand the worst-case scenario of my own UAV mishap. No damage or injuries whatsoever. My UAV was lost for nearly three months. The UAV and its little GoPro camera survived without single a scratch! They are both back in service today. Nobody was injured nor was there even a hint of property damage. Should the battery die in an airborne UAV, they automatically go into a lower power mode and gently float to the ground. Watch the disappearance and crash landing of my UAV over the Westwood neighborhood of Los Angeles last January. The little 64 Gigabyte SD ram card onboard saved and objectively documented the entire event. I love the commentary, you had me cracking up towards the end. Im wondering about the guy that returned it?....White?